The well respected Interpump TX 12 100m. This ia a very capable high pressure cold water commercial cleaner. This is our most popular cold washer for commercial cleaning. 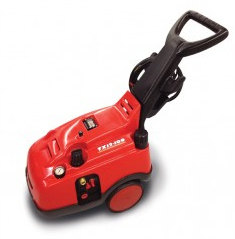 The TX 12/100 offers the most effective choice on the market for professional and dependable cold water cleaning. Particular attention has been paid to the size, weight and overall performance of these compact and highly versatile machines. Compact design and low weight ensures optimum maneuverability. Long life and reliability are important features of the cleaner.